Welcome to Goodyear Tires and Auto Repair – your premier Santa Cruz Lexus service and repair facility. We are a full-service Lexus repair shop - our friendly staff will take good care of you and your vehicle. At Goodyear Tires and Auto Repair, we can provide your Lexus not just with new tires but are also fully equipped to provide a broad range of Lexus service and repairs. Our nationally (ASE) certified technicians can perform not only routine service but also complex diagnostics and repairs – and in most cases, we can have your Lexus diagnosed and repaired the same day. Servicing your Lexus at Goodyear Tires and Auto Repair will keep your manufacturer warranty in force – you do not need to waste time at the dealership. When you bring your Lexus to Goodyear Tires and Auto Repair, you will find friendly service, highly trained technicians, and state-of-the-art equipment necessary to work on today’s cars. Your vehicle will also receive a complimentary inspection – this often allows us to spot impending problems before they result in major breakdowns. When we do find an issue, depending on the severity, we may recommend immediate repairs, suggest scheduling repairs at a future date, or simply inform you of the problem and monitor the issue for you during subsequent visits. At Goodyear Tires and Auto Repair, we aim to provide quality repairs and a pleasant experience. We would be delighted if you would entrust your Lexus to us. 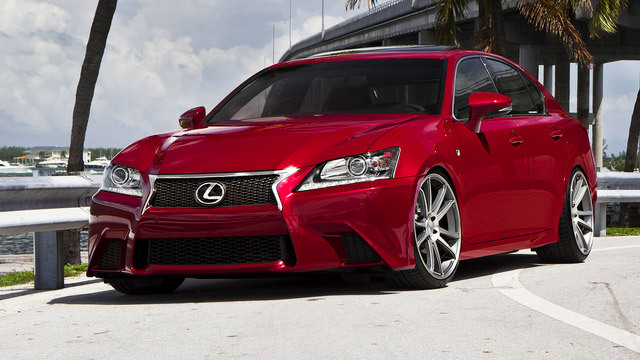 We work on all Lexus models, including Lexus IS, ES, GS, LS, RX, GX, LX, CT and Lexus Hybrid. For your convenience, you may schedule appointment online, or simply give us a call.